Last night (May 23rd) saw the North West property industry come together for the biggest awards event in the calendar. Hosted by veteran broadcaster Gyles Brandreth, the evening attracted over 1,000 people from throughout the sector to celebrate notable achievements and milestones in the field. RDPR was kindly invited to the event by our client Soapworks. 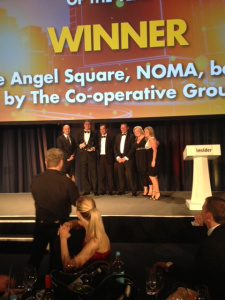 Ben Du Boulay, director at The Carlyle Group had the privilege of presenting the award for Best Commercial Development of the Year to The Co-Operative Group for the organisation’s work on One Angel Square. We were also glad to celebrate the achievements of our fellow clients JLL and Sheppard Robson, who picked up the gongs for Office Agent of the Year and Architect’s Practice of the Year respectively. Congratulations also go to Muse Developments, which managed to bag the award for Developer of the Year and again for The Co-operative Group who picked up a well-deserved accolade for the Property Fund Award. Events like this showcase the strength of the North West’s property industry and the great community that it fosters. Kudos to all those shortlisted and here’s hoping for another sterling year in the sector. 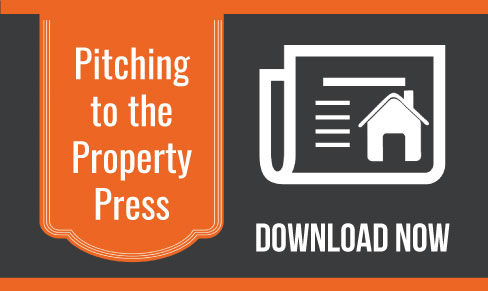 If you'd like to know more about our property PR services - don't hesitate to get in touch today.